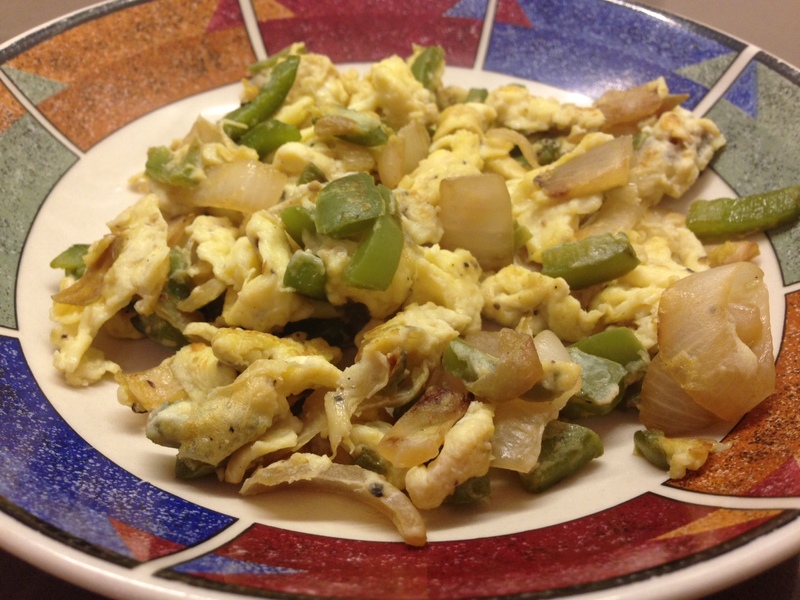 Everyone has their own favorite type of eggs, and these bell pepper and shallot scrambled eggs are definitely mine! I enjoy a good fried egg, and absolutely love deviled eggs, but they don’t hold a candle to scrambled eggs in my opinion. 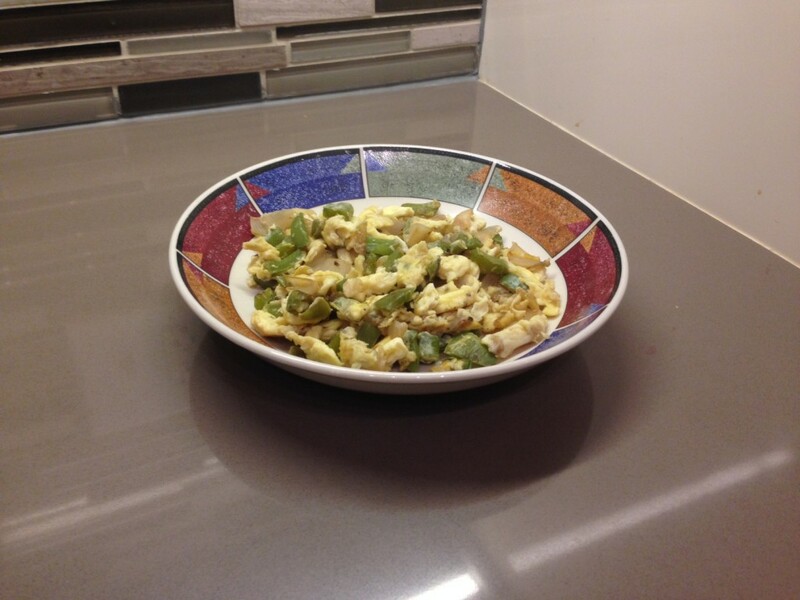 Although pretty easy to cook, I find that people often cook their scrambled eggs with high heat. Which is not good. For fluffy scrambled eggs, medium to low heat is essential. 1. 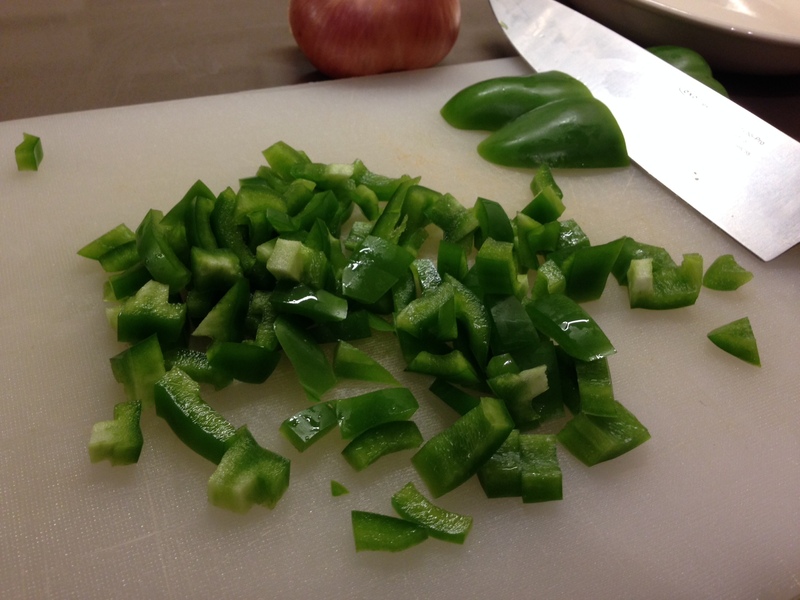 Start by chopping up your bell pepper and shallots. 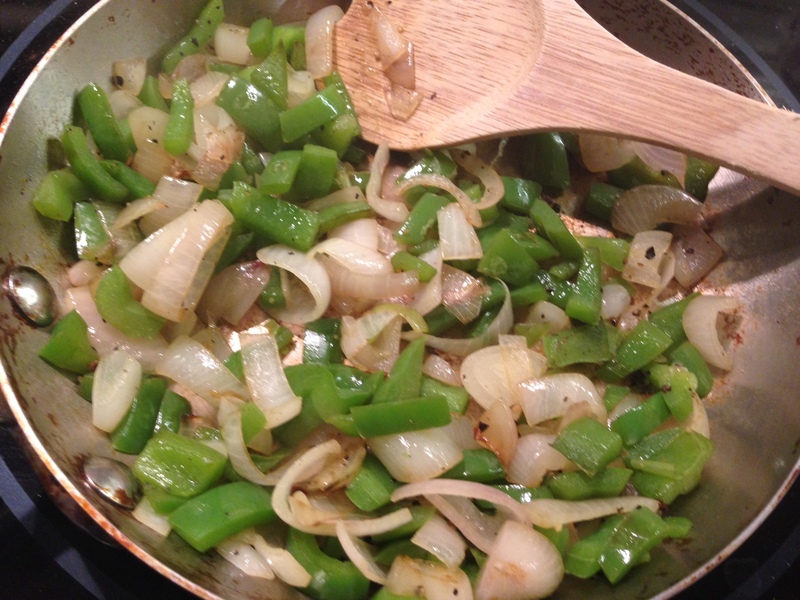 You’ll want to leave the shallots in pretty sizable pieces though, as they will shrink as they cook. 2. Cook onions and shallots over medium high heat, stirring occasionally. 3. 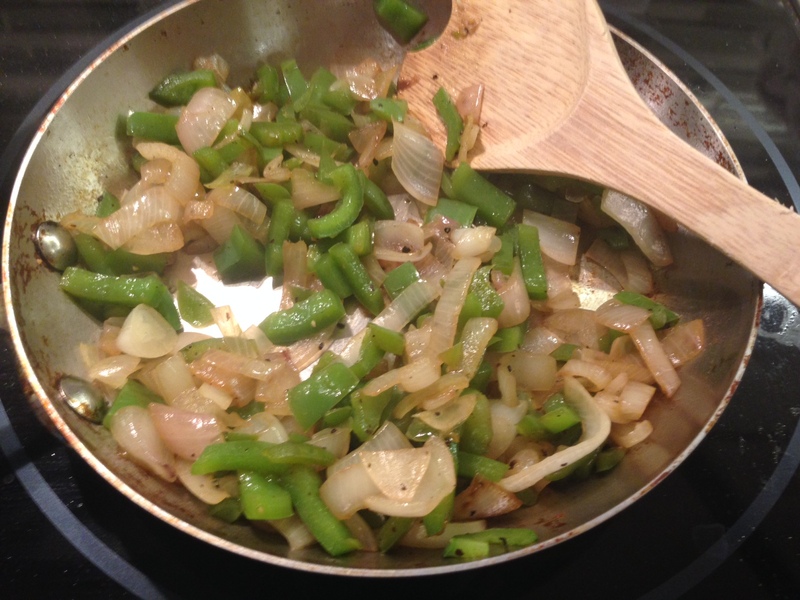 Deglaze the pan with a bit of water when the peppers and shallots have gone soft. 4. Whisk eggs in a separate container or measuring cup. 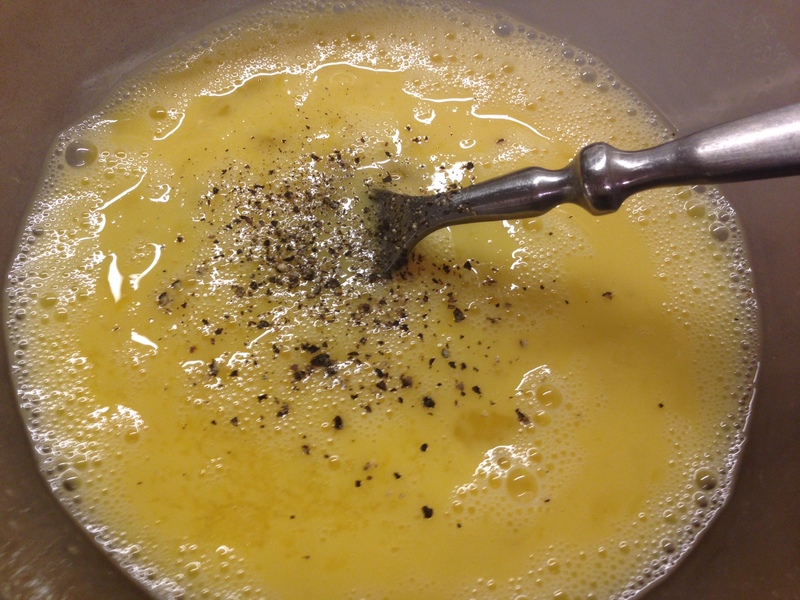 Season your eggs with salt and pepper, but resist the urge to add cream or milk. You don’t need it! 5. 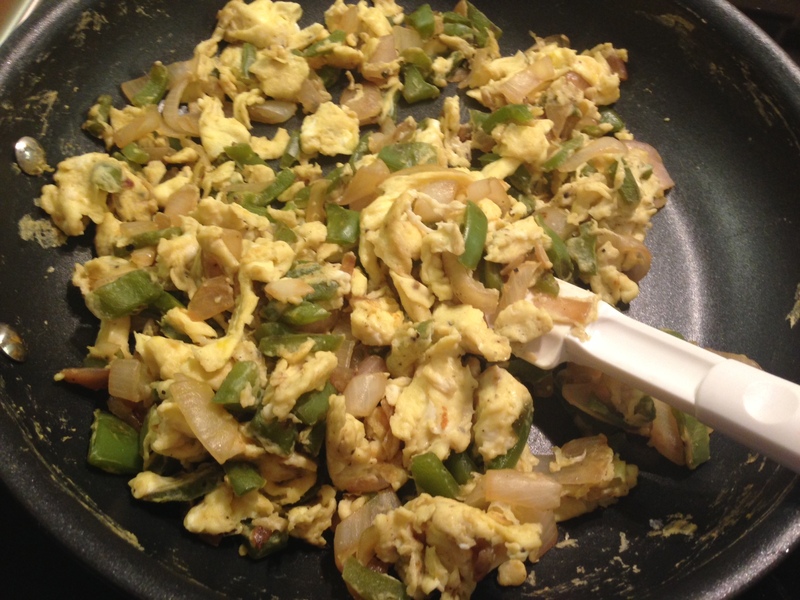 Pour egg over peppers and shallots in a non stick pan. Cook over medium low heat while using a rubber scrapper to work the eggs. 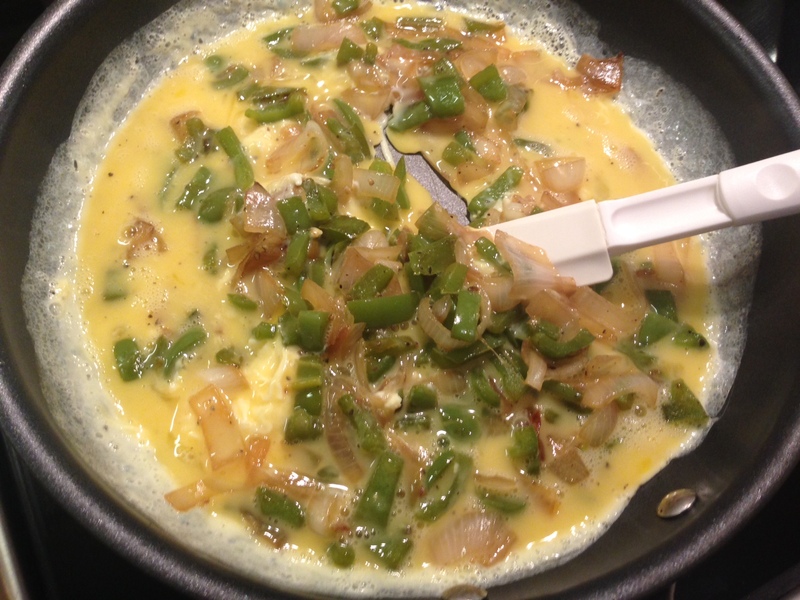 I’ll typically scrape down the sides of the pan, then the middle, and repeat until the eggs are finished. 6. When your eggs are close to being finished, turn off your heat. They will continue cooking without direct heat. 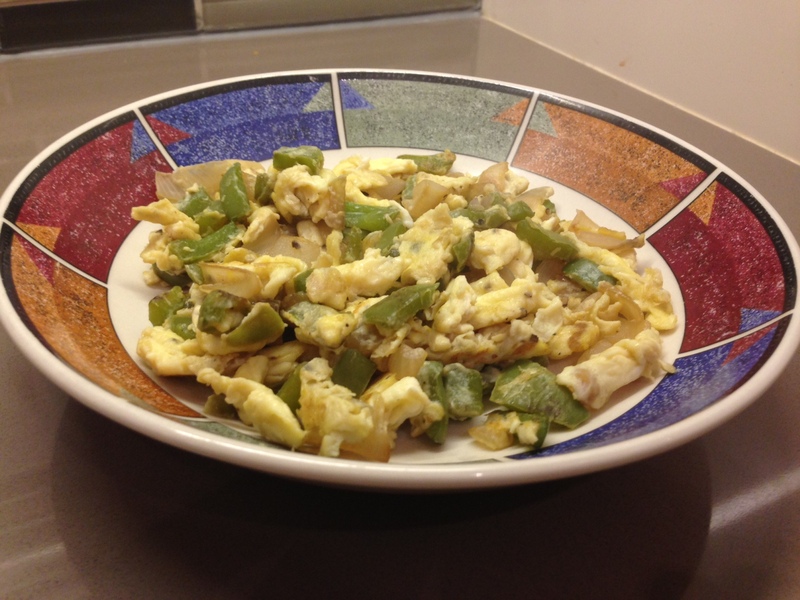 This is the key to not overcooking your scrambled eggs! Serve plain, or top with salsa or sour cream!